New Acer Aspire 5310 5315 5320 5710 5715Z 5720 Lcd Inverter 15.4"
Home → Laptop Parts Other → Acer Aspire 5310 5315 5320 5710 5715Z 5720 Lcd Inverter 15.4"
Description: New genuine Acer replacement ccfl lcd inverter. Part #'s 19.AHE02.001, WK819K, YNV-C02, E131735, PK070005U00. 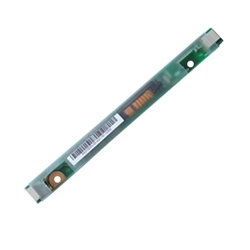 Acer Aspire 5310, 5315, 5320, 5710, 5710Z, 5710G, 5710ZG, 5715Z, 5720, 5720G, 5720Z, 5720ZG.